Fly in to Nassau International Airport. A short 10 minute taxi brings you to your yacht, SOLSTICE, at a private dock. 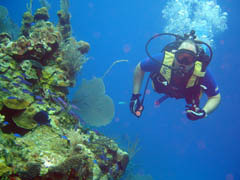 Cast off for nearby Southwest Reef, a premiere area for snorkeling and scuba diving. Explore beautiful reefs, walls, and wrecks that have been made famous in movies for years. Anchor in West Bay, a large peaceful anchorage for the evening. Relax with dinner al fresco while watching the setting sun. Enjoy the stars in the distance as you sip after-dinner drinks on your private yacht. Enjoy a morning swim, kayak to the beach for a breakfast picnic, or participate in a Resort Scuba Course led by Captain Cliff. Sail around the island past Nassau Harbour, fishing along the way. The historic lighthouse at the harbour entrance welcomes us to this side of the island. Continue East to Rose Island, a wonderful place to escape for that "out-island" feeling, with many opportunities for adventures and relaxation. A beautiful beach and fantastic reef make this anchorage a great spot for us to spend the evening. In the afternoon, you can choose to take Solstice for a sail, go fishing, explore several nearby dive sites, or just stay put and relax in this beautiful anchorage. Sail on to Green Cay, a different evening anchorage. After enjoying breakfast al fresco, we'll sail on to nearby Green Cay. The deserted beaches and beautiful crystalline water will keep you both relaxed and inspired. Today's adventure options include more snorkeling, diving, kayaking, fishing, and beach combing. You may not see any other people or boats here, and the only beach footprints are often your own! Spend your last night anchored in solitude here, or sail back to Nassau in the late afternoon, and visit Paradise Island. Hit happy hour at a pub, enjoy nightlife at the various resorts and casinos, or simply stroll through magical aquariums or charming shopping and café areas. Enjoy a final breakfast aboard, disembark the same hour you boarded, and fly home! Realize that in just a few short days, you've had an experience of a lifetime! This itinerary is considered 3 24-hour days and nights. Although charters can begin and end at any hour, we advise Andros Getaway guests to arrive by 1PM in order to depart for Andros that day. With guests arriving after 1 PM, we will anchor off of Nassau that night, and depart for Andros the next morning. Fly in to Nassau International Airport and take a 10 minute taxi ride to Solstice's private dock in Coral Harbour. Cast off for a several hour sail to Andros. 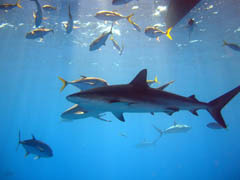 Along the way, dive or snorkel world class sites such as the "Bahama Mama" wreck or famous "Shark Arena" on the nearby Southwest Reef. Sail across the "Tongue of the Ocean", a mile deep abyss filled with fish to discover Andros, the Bahamas' largest and yet least populated and developed island. Feel free to relax and enjoy the sail, or to get involved and join the crew in sailing this stable catamaran. Arrive at Fresh Creek and anchor in a peaceful bay. Swim, snorkel or kayak to work up your appetite for dinner under the stars at anchor. Awake to the solitude and beauty of this true "Out Island". Enjoy a morning stretch, swim, or good book as breakfast is prepared for you. Andros boasts the world's third largest coral reef system, which makes it ideal for eco-travelers wanting to scuba dive, snorkel, fish and kayak. 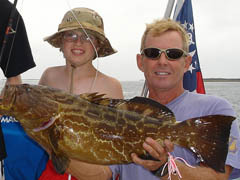 Take advantage of the fantastic opportunities to learn or hone spearfishing techniques, and perhaps you will catch lunch or dinner! This day is also well spent learning to scuba dive or making an extremely memorable dive on the vast reef and wall system. 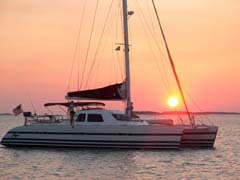 Sail to Water Cay in time for a new anchorage for sunset. 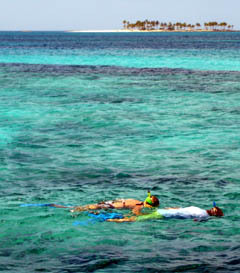 Awake to a peaceful anchorage surrounded by virgin reefs with brilliant corals and active sea life. After a relaxing breakfast on deck, kayak through the fresh water mangrove rivers which wind through the island, or take the dinghy out for a fishing trip. Return in time for lunch and decide whether you will dive, snorkel, sail, kayak or relax onboard Sosltice at anchor for the afternoon. Depending on your whim, we can explore a a new evening anchorage area or return to the small settlement at Fresh Creek to experience the very quaint and local atmosphere of this charming family island. 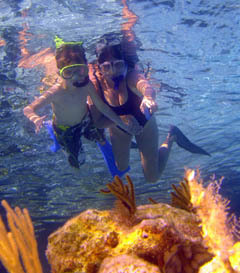 Take a morning sail back to Coral Harbour/Nassau, fishing and snorkeling along the way. Arrive both relaxed and energized from your charter! *Please note that we do not pick up or drop off at the Atlantis Resort marina. For Nassau Charters, we operate from Solstice's private dock on the South Side of Nassau/New Providence, in Coral Harbour. Dockage here is included in your charter price. Please inquire for cost and availability of dockage at other marinas.